Steel garage doors are a popular choice for homeowners across America due to their durability and easy maintenance; however, they also dent easily, which may cause a major issue if not repaired quickly. The experienced technicians at Action Garage Door are skilled at steel garage door repair as well as a number of other types of garage door maintenance services. Whether your garage door was in a slight fender bender with your vehicle, or it was hit by the neighbor’s baseball, you may have a dent in your steel garage door. Scheduling garage door repair service in a timely manner will ensure that your small dent or scratch doesn’t become a more costly issue. Here are just some of the warning signs that you may require repair service for your Austin garage doors. Making a strange noise or screeching sound. Won’t close or open completely. Aren’t operating as smoothly as they once were. Issues with the garage panel or remote controls working properly. The specialists at Action Garage Door have the knowledge necessary to remedy even the most difficult repairs. Our garage door repair service is second to none. 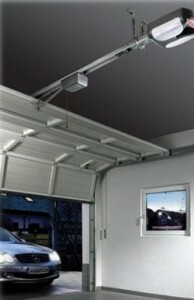 Call us today at 512-447-3667 and we’ll fix your small garage door issue before it becomes a large and costly repair.